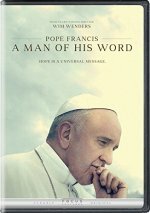 Pope Francis - A Man of His Word release date was Friday, May 18, 2018. This was a Limited in theaters release. 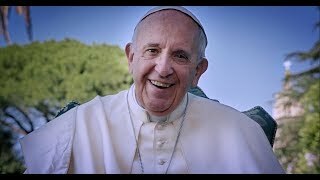 Pope Francis - A Man of His Word is intended to be a personal journey with Pope Francis, rather than a biographical documentary about him. The pope’s ideas and his message are central to this documentary, which sets out to present his work of reform and his answers to today’s global questions. 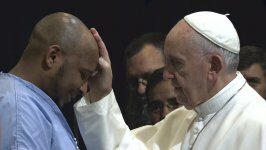 Tthe documentary is a rare co-production with the Vatican, featuring exclusive behind-the-scenes footage and the Pope addressing his audience directly, answering the world’s questions on life, death, social justice, immigration, ecology, wealth inequality, materialism and the role of the family (Focus Features, 2/14/17). The film’s direct-to-camera visual and narrative concepts engage the audience face-to-face with the pope, creating a dialogue between him and, literally, the world. Taking questions from people of all walks of life, Pope Francis responds to farmers and workers, refugees, children and the elderly, prison inmates, and those who live in favelas and migrant camps. All of these voices and faces are a cross section of humanity that join in a conversation with Pope Francis (Focus Features, 2/14/17). Throughout the film, Pope Francis shares his vision of the Church and his deep concern for the poor, his involvement in environmental issues and social justice, and his call for peace in areas of conflict and between world religions. There is also a presence of Saint Francis in the film, connecting back to the pope’s namesake, through accounts of legendary moments in the Saint’s own life as a reformer and ecologist (Focus Features, 2/14/17). The film is a production of Célestes Images, Centro Televisivo Vaticano, Solares Fondazione delle Arti, PTS Art’s Factory, Neue Road Movies, Fondazione Solares Suisse, and Decia Films.